Junior, what else? | Juniorwood! Junior promised to write about London and post lots of pictures. But as we all know, Junior is a busy celebrity leopard! During the time in London, Junior had the chance to have his picture taken with many other celebrities! Now that's awesome! 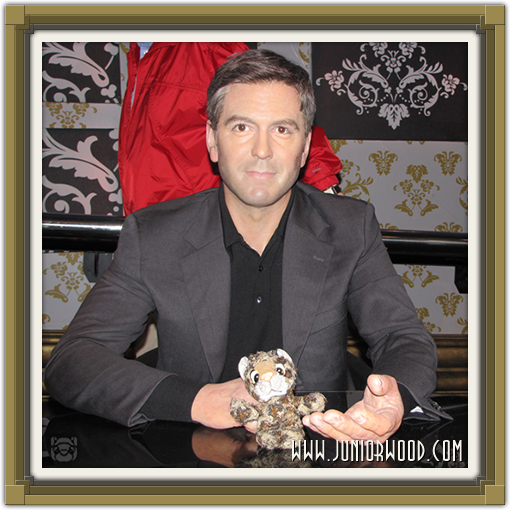 Today, we have a picture of mister George Clooney with Junior! Submitted by Mogway on Fri, 12/10/2010 - 21:50.